Didn’t deliver the old one two… | Simon Says… You really should drink this! ← 10 Reasons Why The Salt House Is The Best Pub In Ireland! 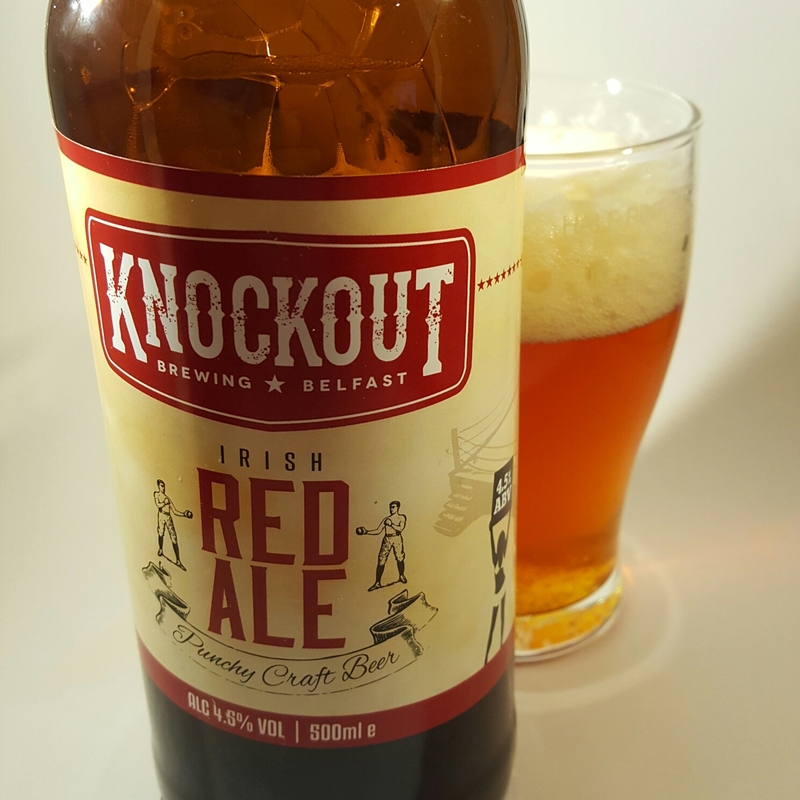 I picked up a pair of beers from Belfast’s Knockout Brewing in the very fancy Super Valu in Celbridge a wee while ago. I cracked both open last night. I had the Red Ale first, the bottle boasts about the punch of Williamette hops. I’m still waiting for it. Next up was the Middleweight IPA which gushed out of the bottle. That’s generally not a great sign. The beer reminded me a little of Greene King’s IPA. If you’re putting ‘punchy craft beer’ on the labels then I’m expecting to be knocked to the floor. Sadly I wasn’t. I hope I don’t meet the brewers because they probably will knock me out. Sterling is strong at the moment which means you are paying over the odds for these beers and I wouldn’t be inclined to try them again. Have you tried them? Did I get bad bottles? 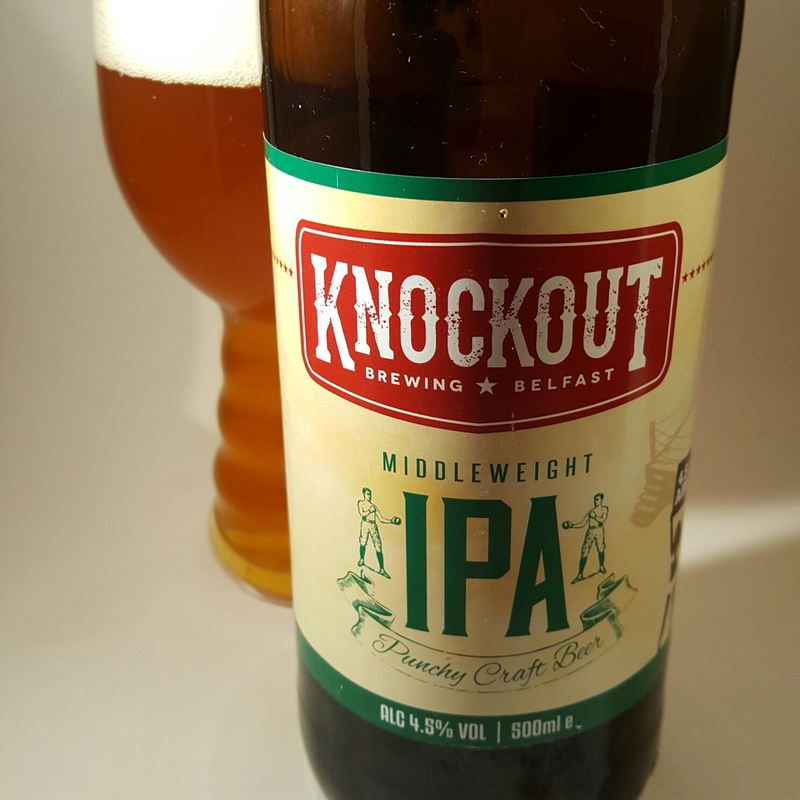 This entry was posted in Uncategorized and tagged Beer, Belfast, IPA. Bookmark the permalink. Yeah, I didn’t think much of them either.